As we grow old, memory declines naturally, but if you follow a healthy lifestyle & diet, then you can effectively improve your memory. It is believed that brain function has its peak in early adulthood and declined gradually. Memory which formed within the brain lapses and declines along with brain function. Lifestyle plays a significant role in memory lapses and brain function declination. Factors such as insufficient sleep, stress, expose to toxin or chemicals, poor diet is basic considerations that hinder the functioning of the brain. Memory is the information process involving three main stages: encoding, storage and retrieval. Often people believed that memory is static and unchanging. However, the memory center also known as hippocampus able to grow new cells and regenerate throughout an entire lifetime. There are two kinds of memory: short-term and long-term. Short-term memory store small pieces of information that needed to retrieve immediately. Long-term memory store information related to memorable moments in life, study for test or exam that can retrieve in long-term. There are various ways to improve your memory. Healthy living lifestyle leads to a healthy body which in turn to a healthy brain. Unlike what most people believe, the brain has the ability to adapt and change. The ability is called neuroplasticity. The brain has the ability to reshape to learn new information, increase your cognitive abilities and improve your memory. Nevertheless, you can always improve your cognitive abilities by using a nootropic. One of the most reviewed nootropics available on the internet is Mind Lab Pro. Take a quick scan of its product reviews to discover its effectiveness and benefits. Make time for friends and fun: Healthy relationships are necessary to boost up your memory. Maintaining a social lifestyle is also one of the factors to improve memory. Often people used to say laughter is the best medicine and it is vital to let ourselves surround with laughter to lighten up our brain activity. Having a laugh can sometime trigger creativity. Check your Stress Level: Chronic stress can destroy your brain cells and damage the hippocampus and affect the formation of new memory and retrieval of old ones. Depression and anxiety also reflect in difficult concentration, remembering and making decision. Meditation is the best solution to reduce the stress level. 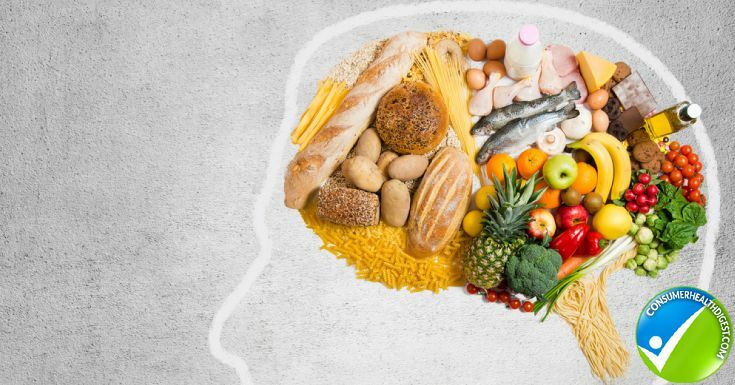 Have Brain Boosting Diet: Choosing the correct diet and eating right is also important to reduce the risk of dementia. Omega-3: The fatty acid omega-3 are mainly beneficial for brain and include a source of fatty fish including salmon, tuna, and trout and so on. Omega-3 with nuts, beans and pumpkin seeds are also available. Limit your calories and fats: Heathy diet plan will let you prevent from risk of cognitive impairment. Fruits and Vegetables: It is clear that fruits and vegetables are filled with anti-oxidant superfood sources that reduce from damaging brain cells. Drink green tea and wine: Green tea is packed with anti-oxidant which enhance brain activity and slow brain aging. In the case of wine consumption, red wine boost your blood flow of the brain. However, it is also important to check your consumption level as too much alcohol can kill the brain cell. Give time for brain workout: New, challenging and fun is the three words for brain workout. Memory require a mental workout, something unfamiliar and out of your comfort zone and lastly physical and emotional enjoyment. Don’t skimp exercising or sleeping: Exercise increase oxygen level to your brain and prevent from memory loss and heart diseases. At the same time, exercise enhance the effects of brain chemicals and protect damage brain cells. Sleep deprivation can occur brain functions and are not able to operate fully which reduce creativity, problem solving skills as well as critical thinking skills. Remember sleep is necessary for memory consolidation. Use mnemonic devices for easier memorization: Using acronym, visualization (image are easier to remember), rhymes and chunking are memory tools that help you easily remember. Get Organized: Your memory can store information but outline it by carefully organizing it. Method of Loci: This method is a memory enhancement by using visualization to organize and recall information. Stop Multitasking: Multitasking yourself is more like trying to attempt to do many things at the same time as fast as possible. It is impossible to get focus if you are doing parallel process and easier to distract, lose your focus entirely. Play Brain Games: Challenge yourself with brain game on the web. Let brain work to improve brain function. However, you can enjoy learning new skills if you are not in for the game. Master Newer Skills: It may be different for every individuals to master a new skill. However, the key is to find what your stimulation is. It should be focusing on attention that give you great satisfaction. Remember to follow golden rules include repeat, organize, visualize and cue and group. 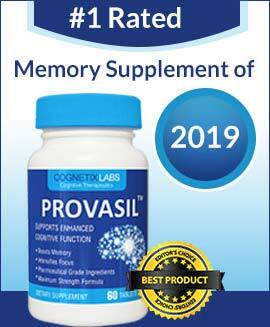 Brain enhancement supplements are also used to improve memory. These type of supplements like Q96 need to take into consideration after a research and consultation by a physician. Every individual has different techniques to restore the information and retain it so let your memory utilize your own way of learning. For instance, if writing down notes is your technique to memorize then be ready to hold a pen and a paper.